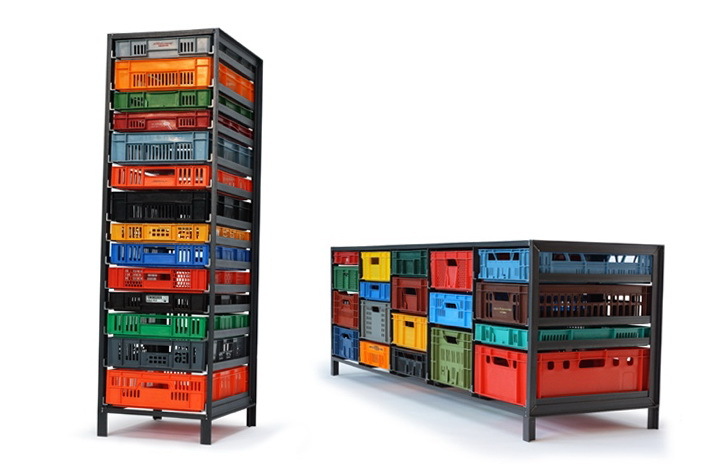 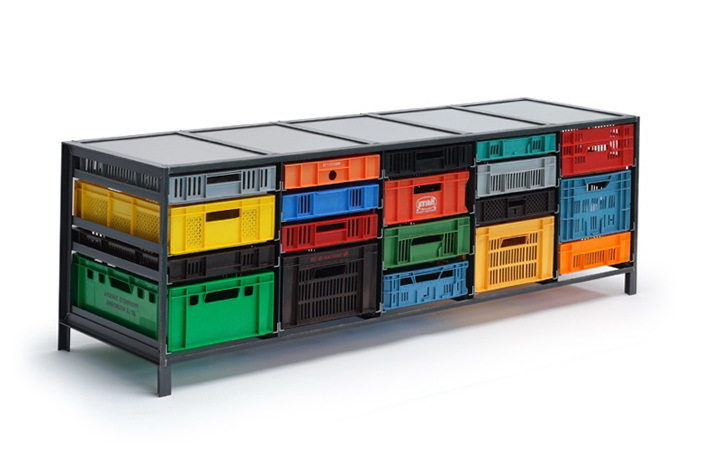 The Crates Cabinet uses large second-hand crates for storage and industrial strength frames to hold the crates. 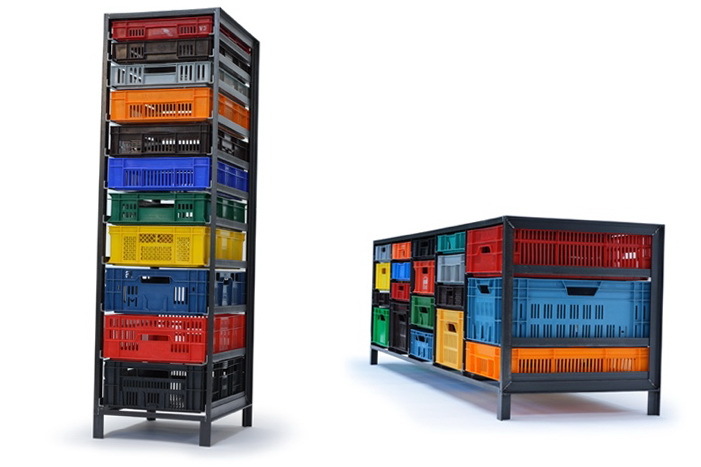 You can vary the sizes of crates, choose a variety of colors, and create a unique storage system that looks great and is amazingly efficient. 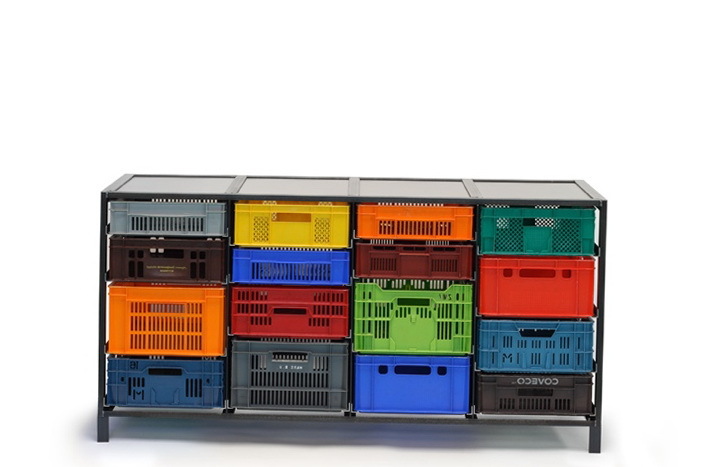 Each cabinet is built as a one of a kind system due to the varying supply, color, and sizes of the crates. 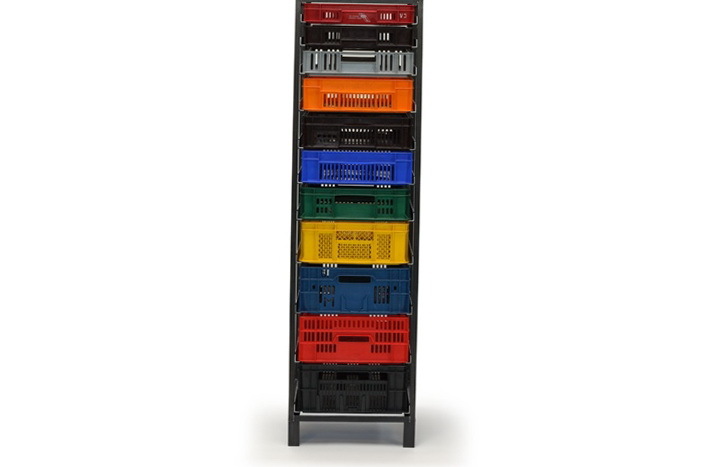 You must contact Mark to get a quote on a system for your home.